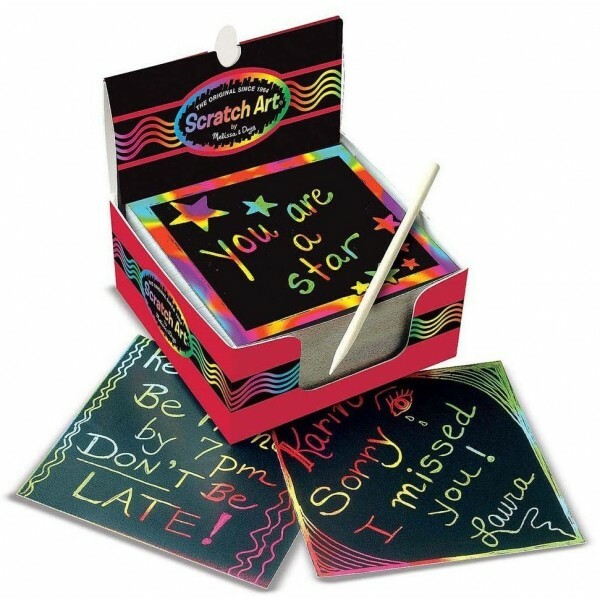 Creative kids can jot notes, etch doodles, and make their own exciting masterpieces with mini scratch art notes from Melissa and Doug! This set includes 125 rainbow mini notes, a wooden stylus, and a handy "desktop dispenser" box to keep it all organized. 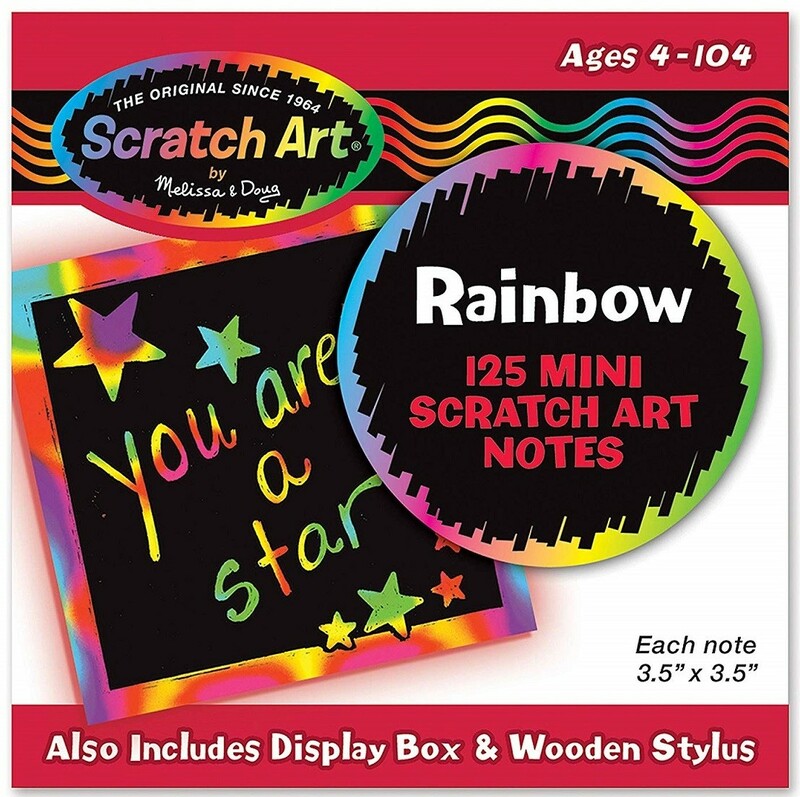 The 3.5 by 3.5 inch sheets are just the right size to use for quick notes, crafts, and home-made cards, and kids will love the shiny rainbow background they reveal.